Get notified when New York Islanders tickets are available! The New York Islanders are a professional American ice hockey team from New York City. 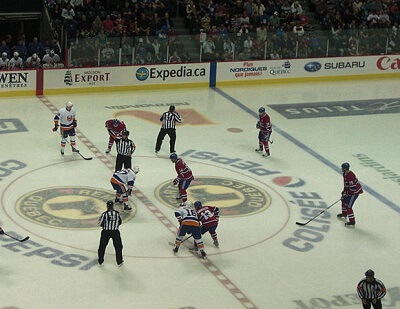 A part of the National Hockey League, the Islanders play their home games at the Brooklyn located Barclays Center. The New York Islanders were founded in 1972 and since their founding have won four consecutive Stanley Cups, all taking place between the years 1980 and 1983. They also boast 19 consecutive playoff wins between 1980 and 1984, setting a record that has never again been achieved in the history of professional sports. Get your New York Islanders tickets today by using the links above!